10th July 2008 Added report & photograph from Brian, G3CVI. 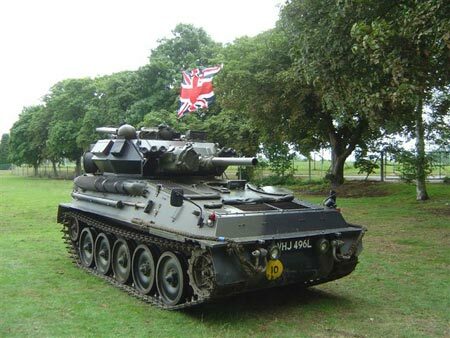 Added the tank photo from Colin, G0TRM - minor corrections. The Military Show on Sunday, 6th July, 2008 was held at the Museum of Power at Langford which is on the B1019, Hatfield Peverel to Maldon road. 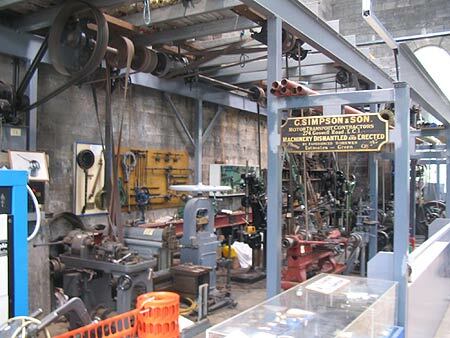 CARS was invited to operate from the main building. Somehow it fell my lot to set it up so, twisting a few arms for helpers that is how it started. Tony, G4YTG and Brian, G3CVI did a recce and chose a suitable tree and roof for an inverted end-fed L aerial. Later Tony performed his Robin Hood act and shot an arrow with a very thin messenger over the tree. We made fast the halyard and joined the two ends for safety. Over the roof of the main building was even easier and Tony said “I will fire it well the other way” Muggins forgot to ask which other way hence the arrow missed my starboard ear by about a foot! !….no matter, the second halyard went over perfectly followed soon by the actual wire which was about 140 feet in length. 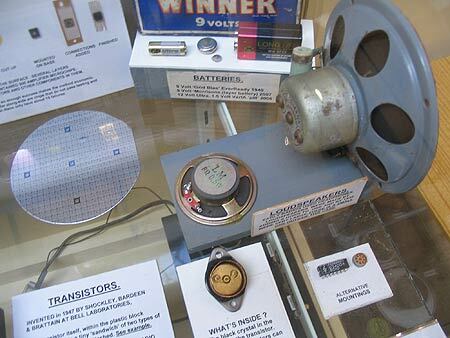 Museum volunteer David Pring managed to free a metal window frame and Brian passed the hot end through an insulating sleeve in case a voltage max occurred at that point according to Murphey’s law. Brian then installed the FT847 with its power supply and John, G8DET's newly acquired SG230 auto tuner and ran a test….Wonderful!!! All desired bands tuned up perfectly with almost unity SWR right across them all. A nice clean tank - what a vehicle to go shopping in! 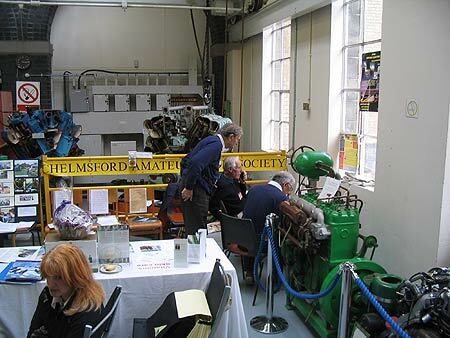 Museum of Power - a real engine! 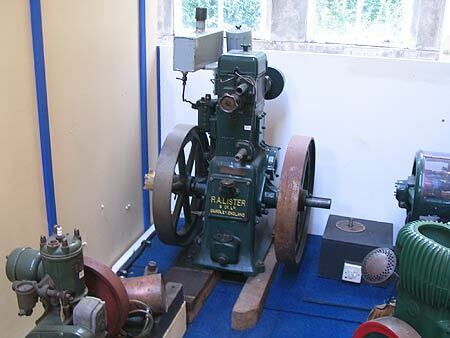 until 1947 to pump the water for Chelmsford when the plant was electrified. 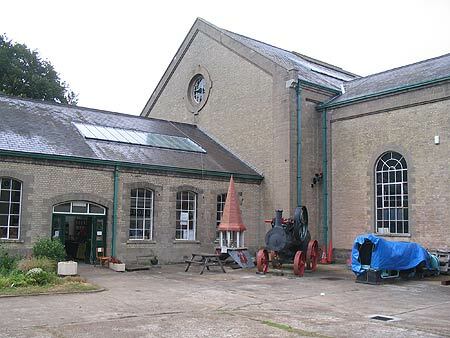 A similar one was built in Dorset to do the same job - pump water to the Borough's customers. The feed for the Long Wire Aerial can just be seen by the window to the left of the red pointed well cover. shroud to prevent the Feeder touching the metal gutter above. Brian, G3CVI looking at the Operator (Colin, G0TRM) & Logger (Oliver Prin, 2E0WAA). 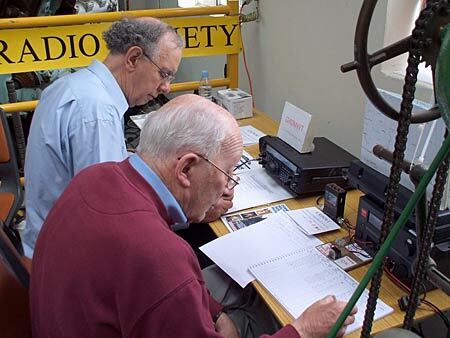 David, G3SVI and John, G3VMJ operating. On the day we opened to the public using GX0MWT at 10am trying 80m then 40m then back to 80m. All told we made 43 QSOs with mostly English stations but we had some fine quick chats with several Dutch and Belgian ops with a few Germans while the band stayed open to their part of Europe. It was necessary to use the noise cancelling speaker due to a very nasty spike generated somewhere within the building. 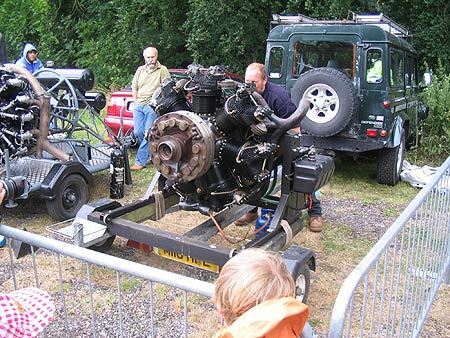 Thus Q2 became Q5….marvellous bit of kit. John G3VMJ operated with me until midday then David, G3SVI and Myra, M3MYR with Oliver, 2E0WAA and Colin G0TRM ran things till Brian re-appeared at about 3-30 to join in and close down at about 4-45. 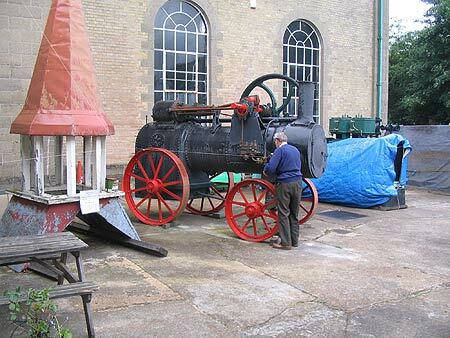 During the day we were delighted to hook up with GB4LMR at Long Melford Special event station running only 5W!!! Trevor had suggested we search for them. A satisfying number of visitors stopped by to chat with our new volunteer Public Relations, Committee Members, Myra, M0MYR and David, G3SVI…welcome aboard!!!! 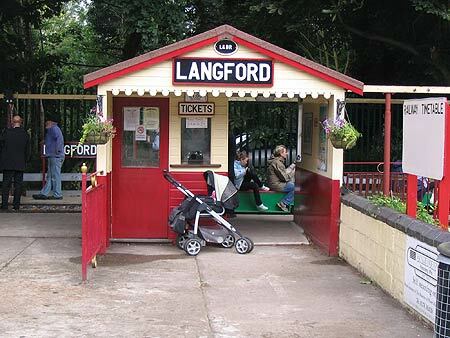 The Station on the Small Gauge Railway which worked all day giving rides around the site. during WWII on a Landing Craft used for the Dunkirk Landings. It was started using Calor Gas and then ran (noisily) on petrol. 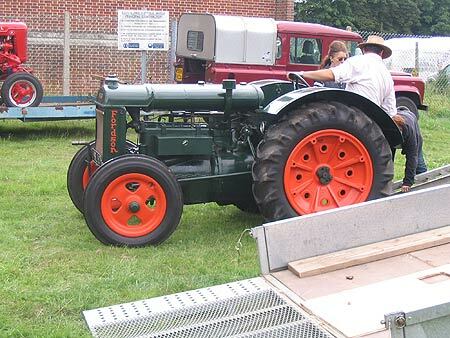 An very nice Fordson Tractor. 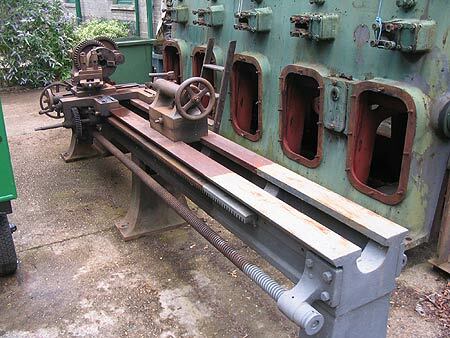 A 9ft Screw Cutting Lathe. 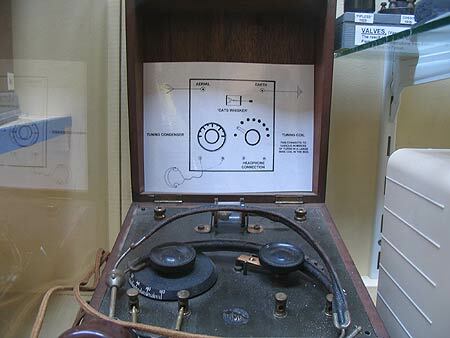 A very early Wireless Set, part of the comprehensive edicational displays. 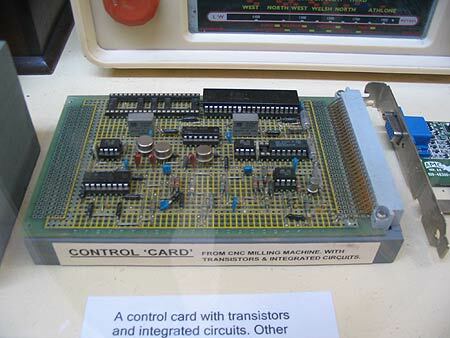 A Control Card from a CNC Milling Machine. 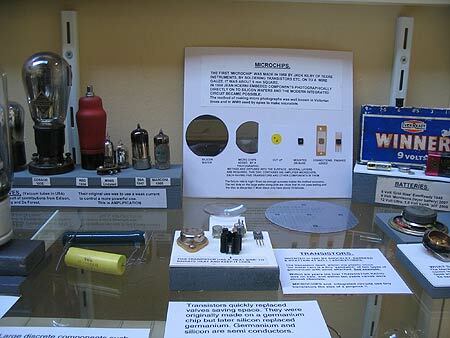 A nice selection of Valves and Transistors. 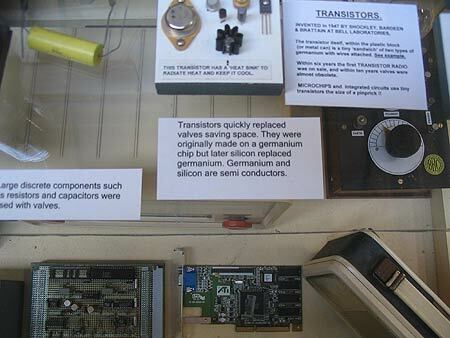 A selection of Transistors and Speakers. 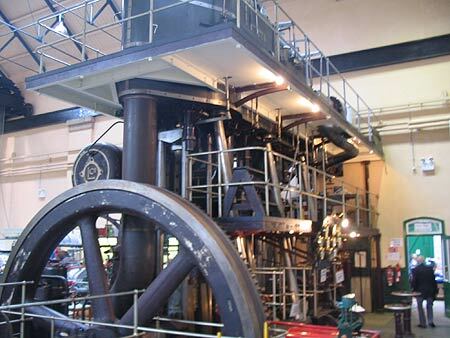 A Lister Engine manufactured at Dursley, Gloucester - the site is now a block of flats! 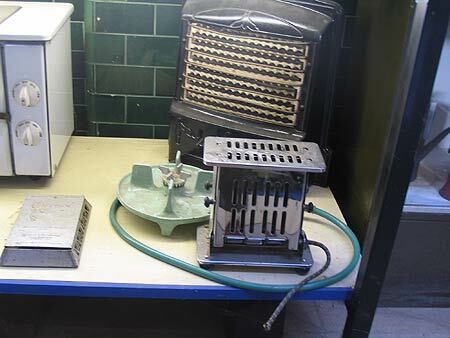 Old Domestic things which get hot! 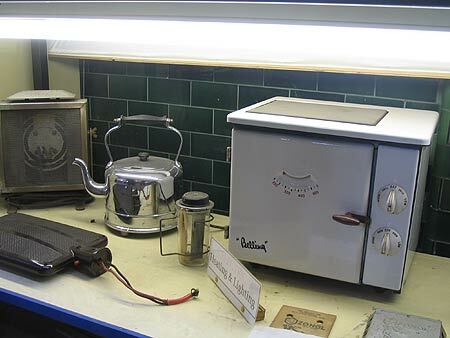 Notice the electrically heated Hot Water Bottle. 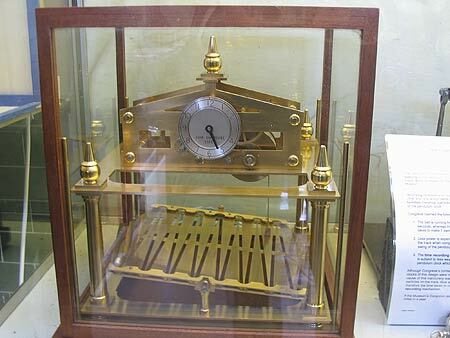 A Ball-Bearing Clock or to give it's proper name, a Congreve Clock. (Thanks Colin for naming it). 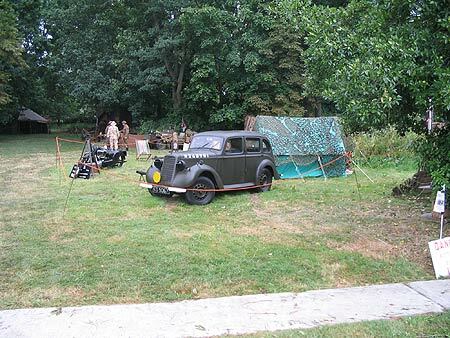 A grand day was had by all…..thanks to the CARS people and the helpers from both Museums. Send your QSL cards, preferably via the RSGB Bureau - or direct - see CARS Web Site Home Page for directions. A special QSL Card has been produced for the event which should be available on request.